Zhong Kui is a not so much god as ghost. However, he has been charged with the rule and control of all of the ghosts in Hell, and wields considerable power. Zhong Kui was once mortal, and very ugly. Though he achieved top scores on the Imperial Examinations, which should have granted him a place in the bureaucracy, the Emperor revoked his titles because of his disfigured appearance. 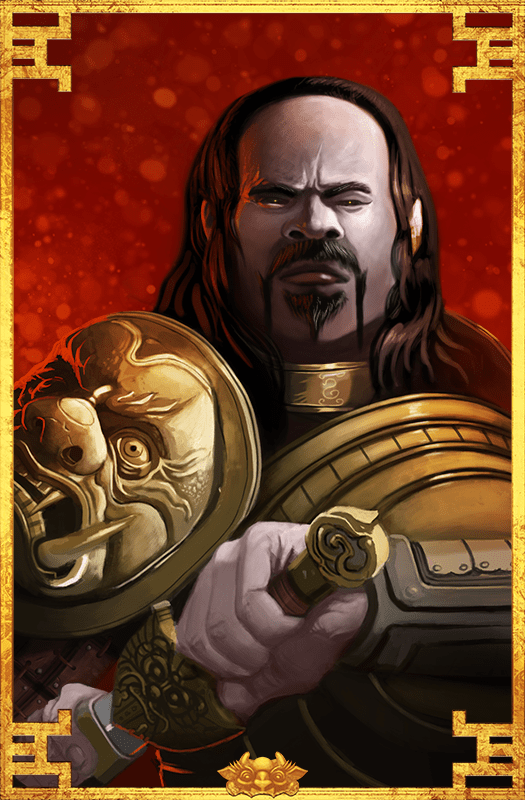 Enraged, Zhong Kui threw himself against the palace door again and again until he died. As a suicide he was condemned to become a ghost in Hell, but because of his scores on the examinations he was appointed as overseer of all the other ghosts. Most of his time is now spent hunting down wayward spirits, demons, and other evil creatures, and keeping the rest in line. Jiangshi: Undead unit that drains life from enemy soldiers. Jiangshi, sometimes called a hopping zombie, was known throughout ancient China as a reanimated corpse that would hunt and seek all living creatures in an attempt to kill them and harvest their qi, loosely translated as “life force”. The nickname hopping zombie was assigned to the phenomenon due to the corpse being too stiff to bend any of its limbs and thus resorting to jumping with arms outstretched. 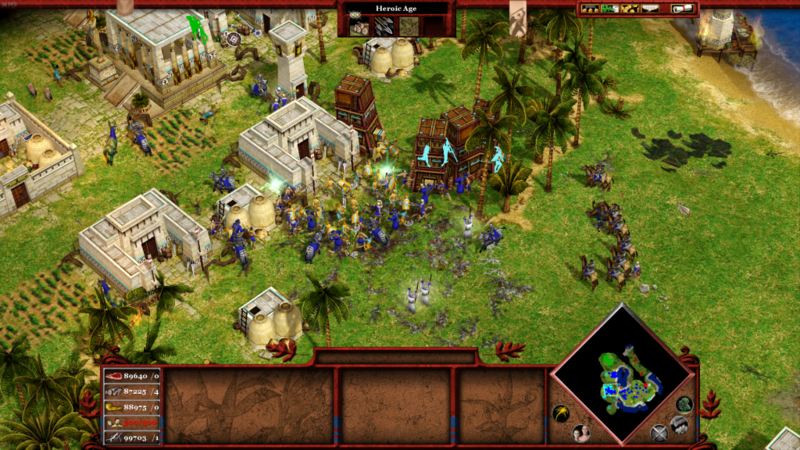 While attacking an Egyptian city, Zhong Kui sents roots up from the underworld to target hostile fortifications. Uproot: Zhong Kui’s God Power sends roots up through the Earth’s crust to damage enemy buildings. Buildings located within the area of effect are then surrounded by possessed roots which will keep on damaging the buildings until they are destroyed. The more buildings in the area, the stronger the effect of the God Power. Demon Slayer: Zhong Kui increases the damage of your Immortals against Myth Units. Life Drain: Zhong Kui improves the special attack of your Jiangshi, increasing the damage they do. Unbridled Anger: Zhong Kui makes your infantry stronger.